Batman Makes the Least of His Final Hours. 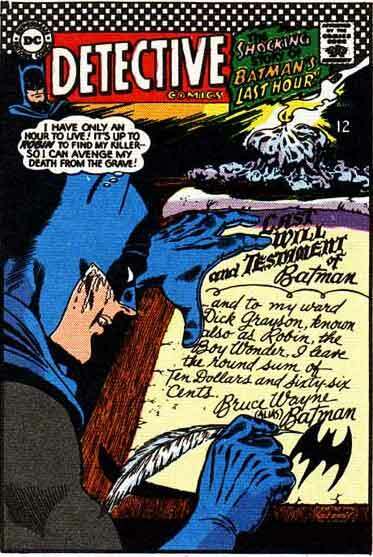 So how much time would Batman have had left if he hadn’t spent the time it would take to dig up an ink well, quill, and a scroll of parchment to write out his last will and testament with such a fancy header? Wonder Woman Gets a Day Job. What’s So Fantastic About Dr. No-Face?